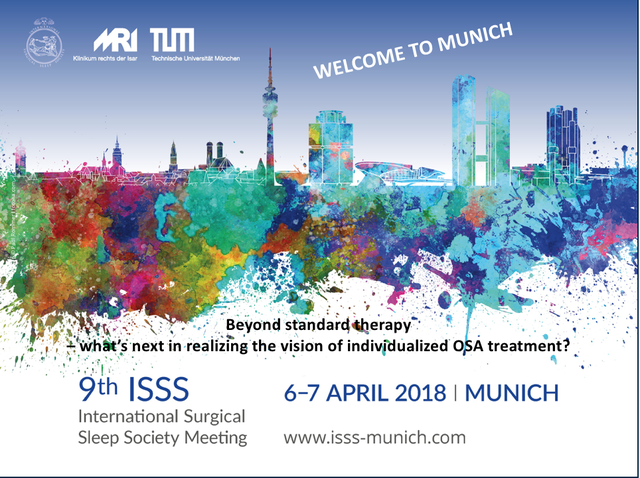 This year, we were able to host the largest international meeting on sleep surgery with a main focus on individualized treatment of obstructive sleep apnea. One of our main research focus is on OSA. We are performing research projects in the development of new diagnostic tools and therapeutic options in this disease. Also know as hypoglossal nerve stimulation is one of the most promising techniques for the future in the treatment of patients with OSA. As one of the worldwide leading centers, we focus on a lot of research topics targeting this new field. Patients, who are affected by sleep disorders can suffer from these diseases really severe. As a sleep laboratory at a university hospital, we focus on a wide spectrum of research topics in this field. Hasselbacher K, Hofauer B, Maurer JT, Heiser C, Steffen A, Sommer JU. Patient-reported outcome: results of the multicenter German post-market study. Upper Airway Stimulation for Obstructive Sleep Apnea: Results from the ADHERE Registry. W, Herzog M, Hemmert W, Schuller B.
Comput Biol Med. 2018 Mar 1;94:106-118. Hofauer B, Steffen A, Knopf A, Hasselbacher K, Heiser C.
Adherence to Upper-Airway Stimulation in the Treatment of OSA. Ouayoun MC, Chabolle F, De Vito A, Heiser C, Paramasivan VK, Rabelo FAW, Rotenberg B, Suurna MV. International consensus (ICON) on the ENT role in diagnosis of obstructive sleep apnea syndrome. Eur Ann Otorhinolaryngol Head Neck Dis. 2018 Feb;135(1S):S3-S6. Zhu Z, Hofauer B, Heiser C.
Improving surgical results in complex nerve anatomy during implantation of selective upper airway stimulation. Auris Nasus Larynx. 2018 Jun;45(3):653-656. Wirth M, Schramm J, Bautz M, Hofauer B, Edenharter G, Ott A, Heiser C.
Reduced upper obstructions in N3 and increased lower obstructions in REM sleep stage detected with manometry. Eur Arch Otorhinolaryngol. 2018 Jan;275(1):239-245. Heiser C, Thaler E, Soose RJ, Woodson BT, Boon M.
Technical tips during implantation of selective upper airway stimulation. Steffen A, Sommer JU, Hofauer B, Maurer JT, Hasselbacher K, Heiser C.
Outcome after one year of upper airway stimulation for obstructive sleep apnea in a multicenter German post-market study. Steffen A, Kilic A, König IR, Suurna MV, Hofauer B, Heiser C.
Tongue motion variability with changes of upper airway stimulation electrode configuration and effects on treatment outcomes. Kun Qian, Janott C, Jun Deng, Heiser C, Hohenhorst W, Herzog M, Cummins N, Schuller B.
Heiser C, Knopf A, Hofauer B.
Surgical anatomy of the hypoglossal nerve: A new classification system for selective upper airway stimulation. Hofauer B, Philip P, Wirth M, Knopf A, Heiser C.
Effects of upper-airway stimulation on sleep architecture in patients with obstructive sleep apnea. determine treatment strategies in obstructive sleep apnea. Predictive Success Factors in Selective Upper Airway. Stimulation. ORL J Otorhinolaryngol Relat Spec. 2017;79(1-2):121-128. Qian K, Janott C, Pandit V, Zhang Z, Heiser C, Hohenhorst W, Herzog M, Hemmert W, Schuller B.
IEEE Trans Biomed Eng. 2017 Aug;64(8):1731-1741. Janott C, Schuller B, Heiser C.
[Acoustic information in snoring noises]. HNO. 2017 Feb;65(2):107-116. Review. German. Heiser C, Edenharter G, Bas M, Wirth M, Hofauer B.
Palatoglossus coupling in selective upper airway stimulation. Heiser C, Maurer JT, Hofauer B, Sommer JU, Seitz A, Steffen A.
Outcomes of Upper Airway Stimulation for Obstructive Sleep Apnea in a Multicenter German Postmarket Study. Otolaryngol Head Neck Surg. 2017 Feb;156(2):378-384. [Hypoglossal nerve stimulation in patients with CPAP failure : Evolution of an alternative treatment for patients with obstructive sleep apnea]. Heiser C, Knopf A, Bas M, Gahleitner C, Hofauer B. Selective upper airway stimulation for obstructive sleep apnea: a single center clinical experience. Eur Arch Otorhinolaryngol. 2017 Mar;274(3):1727-1734. Heiser C, Thaler E, Boon M, Soose RJ, Woodson BT. Updates of operative techniques for upper airway stimulation. Laryngoscope. 2016 Sep;126 Suppl 7:S12-6. Hofauer B, Strohl K, Knopf A, Bas M, Wirth M, Stock K, Heiser C.